Business promotion with advertising on paper cups! Advertising a brand is extremely important nowadays. Getting your business to the target audience is essential in today's competitive market environment. 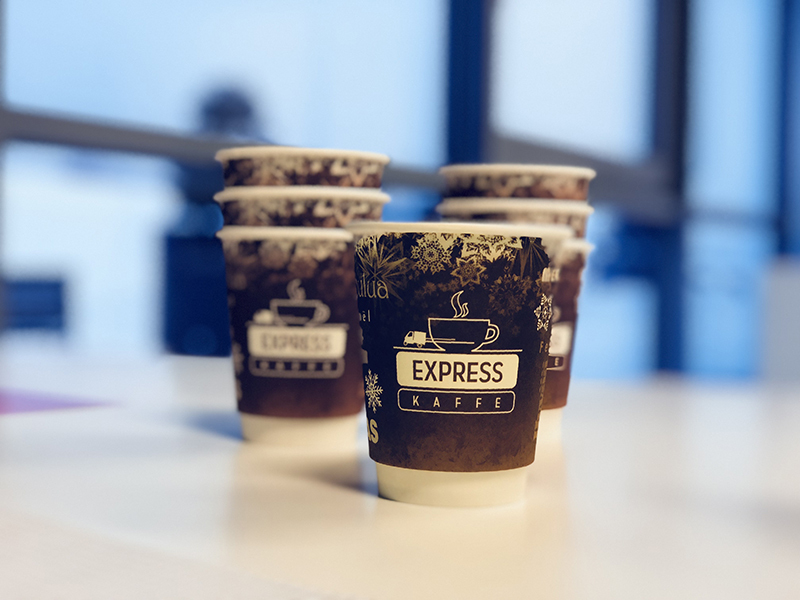 Paper cups with your brand are one way to do that. Especially suitable for restaurants, bakeries, coffee shops, ice cream parlors or at events or fairs. Wherever many people come together, you can attract attention with attractive design. Advertising on paper cups demonstrates your creativity to the customer and thus wins its attention. Make sure your message to potential customers is remembered. Send your message with paper cups to the world, at trade shows, events or in the office like these brands. NEW! Ice cream cup with custom design! 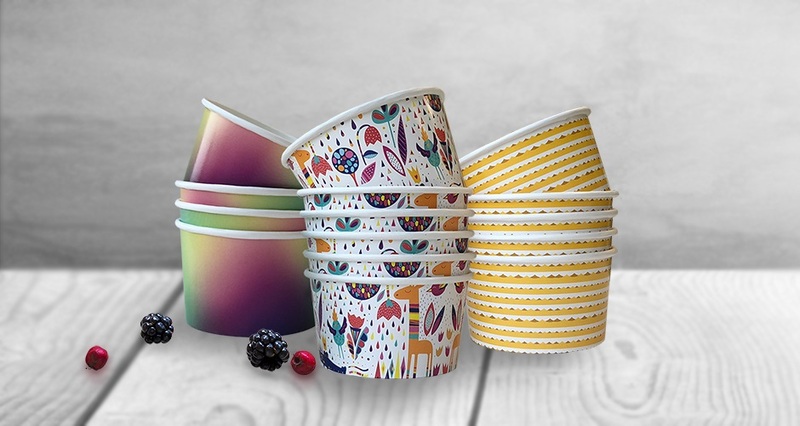 We are introducing our new product – custom design ice cream cups. They are available in two sizes: 8oz (220ml.) and 12oz (350ml.). Ice cream cups made from high quality certified paperboard could be used not only to serve desserts but fruits and snacks too. Custom design ice cream cup advertising is one of the ways to spread the message about your brand with minimal resources and increase loyal client count. 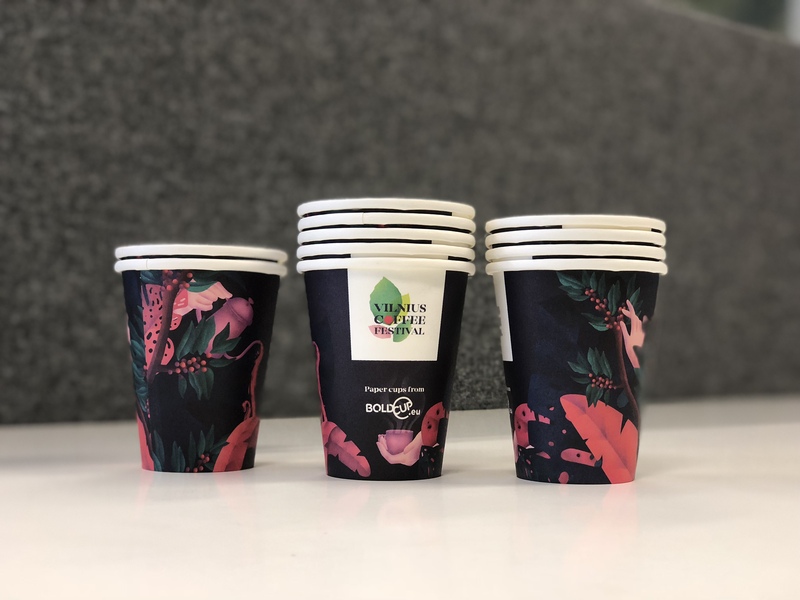 Producing these cups we use gloss paperboard which gives a clear and vivid finished look for the design. This way your communicating message, whether it is quote, logo, news, image or other information, will be clearly visible and easy to read. See you at "Vilnius Coffe Cup 2018"
On the 23rd-25th of March, 2018, we are participating in "Vilnius Coffee Cup 2018" a festival dedicated to the expanding coffee culture in Lithuania. We produced custom made paper cups specifically for this event, cups from which YOU will be able to drink coffee from. You can find more information about the festival and its programme on the festivals webpage https://www.vilniuscoffeefestival.lt/ See you during the 23rd – 25th of March in Vilnius, Art Factory "LOFTAS". The winner of custom printed paper cups! We have participated in the largest HORECA trade show in the Nordics – “Fastfood & Café 2018”, which took place on 31/01 – 01/02, 2018 in Malmö Sweden. At the BoldCup stand we arranged the competition with a chance to win 3000 pcs. of custom printed paper cups. We're pleased to announce that the winner of this competition is @Express Kaffe! The cups are already produced and delivered to the lucky winner! We would like to thank everyone who visited us in Malmo and participated in the competition and we look forward to see you in future exhibitions or events. BoldCup is coming to Sweden! We gladly announce about our participation at the FAST FOOD & CAFÉ STOCKHOLM 2017 Fair on 1-2 of February. We will introduce our products, e-shop and we are willing to meet with you there! Come visit us, our stand No M:03. More information about the Fair you will find here. Our brand new e-shop BOLDCUP.EU is launched and ready to take your orders! Please explore our website, take a look at our product range, choose the products you like and make your first order. 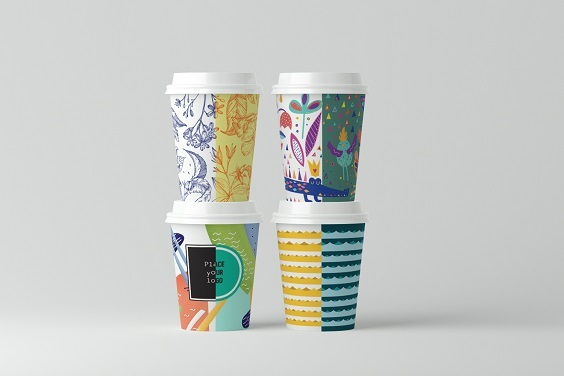 BOLD CUP – standard paperboard packaging with YOUR OWN CUSTOM DESIGN and minimum orders quantity only from 500 pcs. All paper cups and other standard packaging is made in Lithuania. We guarantee the best printing and production quality, safe and convenient paper packaging.